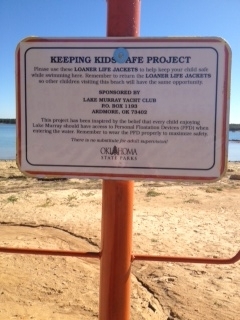 Sign posted at all swim areas around Lake Murray. 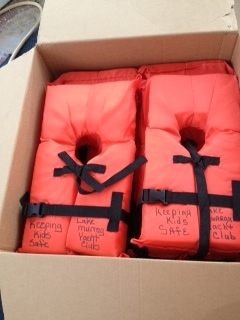 Please use these LOANER LIFE JACKETS to help keep your child safe while swimming here. 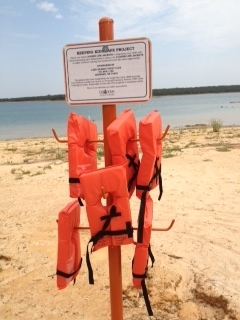 Remember to return the LOANER LIFE JACKETS so other children visiting this beach will have the same opportunity. 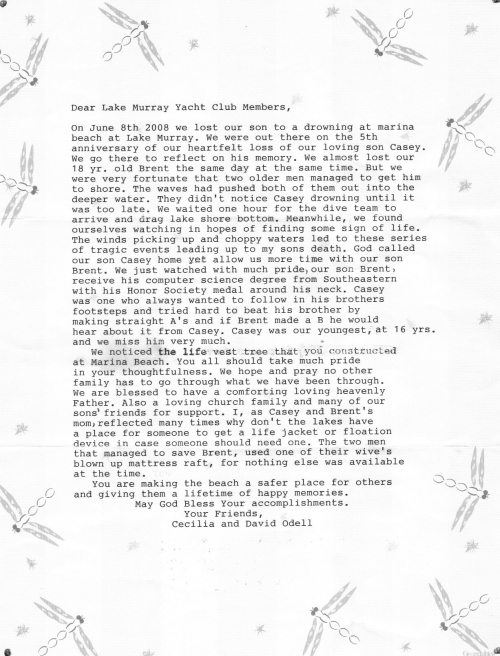 This project has been inspired by the belief that every child enjoying Lake Murray should have access to Personal Floatation Devices (PFD) when entering the water. 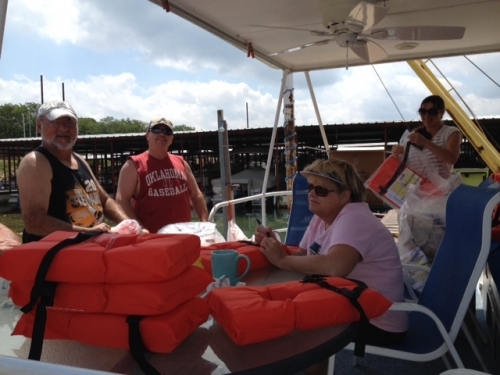 Remember to wear the PFD properly to maximize safety. There is no substitute for adult supervision! 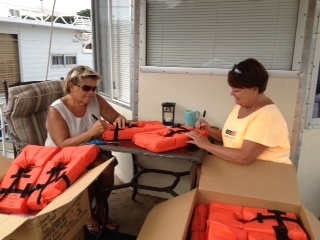 First shipment of loaner life jackets. 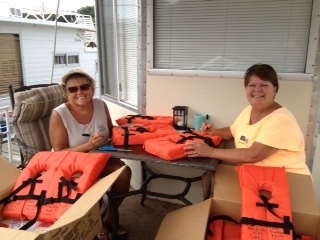 Debbie Felgenhauer and Diana Baldwin preparing the child life jackets for use. Definitely a "labor of love". 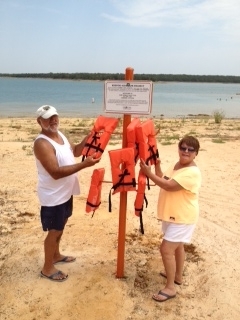 Ron Fields and Debbie Felgenhauer filling the life jacket holders at the beach/swim area near Lake Murray Marina. Ron Fields and Diana Baldwin are the program managers. 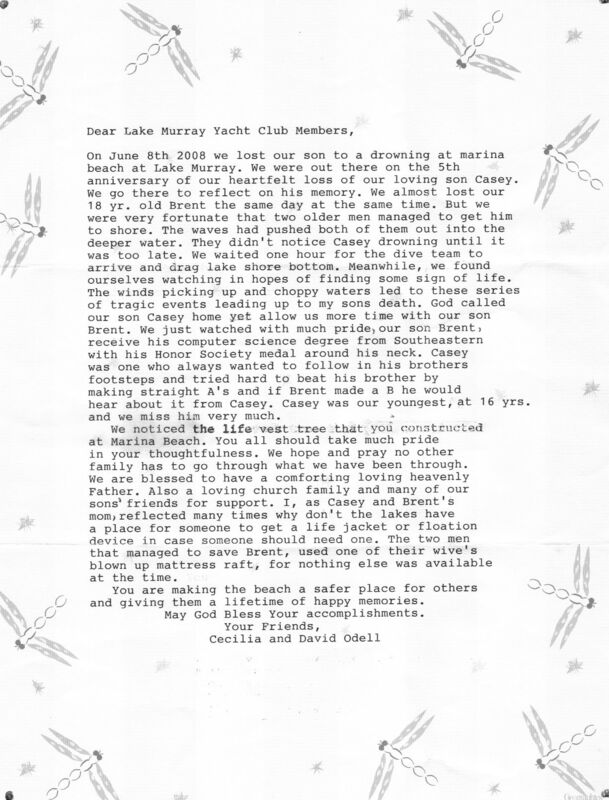 Their dedication represents the Club's commitment to water safety at Murray. 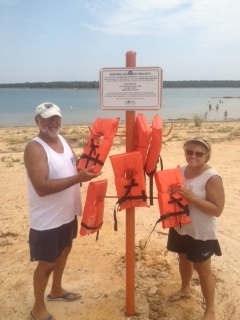 All the swim areas at Lake Murray now have these loaner life jackets available. Park Rangers monitor the poles and keep them stocked to keep kids safe.